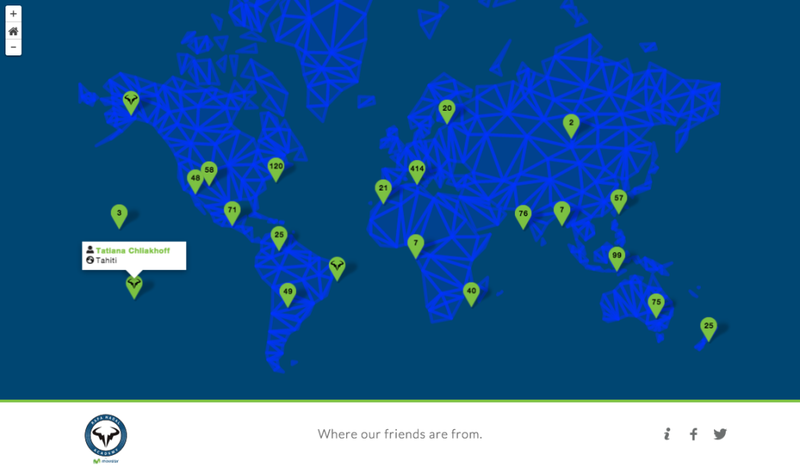 On December 2nd, 2015 Rafa Nadal’s Academy asked their social media friends to share their location with them so they could create a map that showed off their global network of support. Over 1,000 of their friends responded via Twitter and Facebook and here we present the location of those 1,000+ friends. Demap was commissioned to design and build the interactive map. View the map here.